Our New Zealander passengers have been to Sydney before. They hadn’t done anything as exciting as a Harley and trike tour though. It was also a celebration for Trudy’s 50th birthday. So what better thing to do than a Trike Harley Family Tour where everyone can be included in the fun. Our Harley rider Jungle and our trike riders Craig and Syl picked them up from their hotel in Darling Harbour. 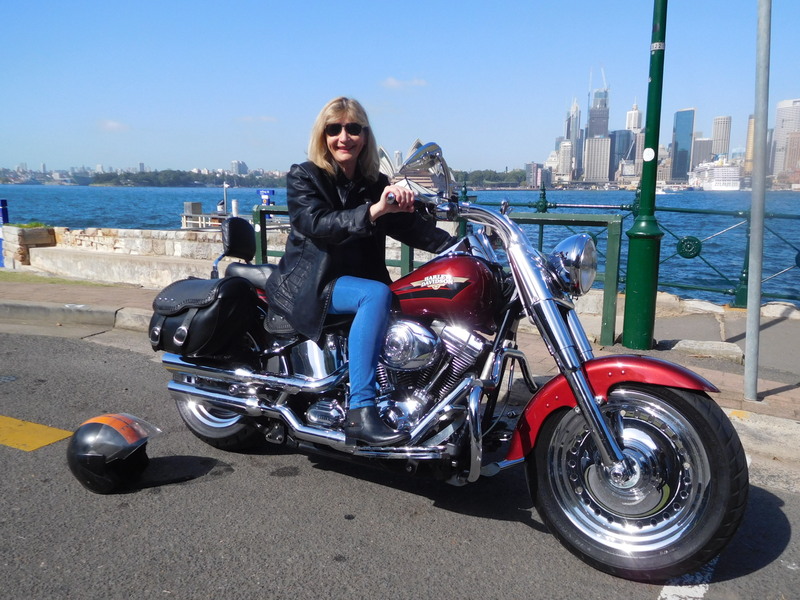 Because it was Trudy’s birthday she had already bagged the Harley. The husband and son went on one trike and the grandparents on the other. There were opportunities when they could swap around to try the other bikes. They firstly went over the Sydney Harbour Bridge to Balmoral where they stopped for a wine at a cafe to celebrate the special birthday. The family and riders continued over the Spit Bridge which has lovely views of Sailors Bay on one side and Sandy Bay on the other. They stopped at Dobroyd Head. This has wonderful views between both North and South Heads. Look across Sydney Harbour and out to the South Pacific Ocean. Absolutely stunning. Next, they continued on to Manly where they were dropped off. They were going to explore this lovely area, have some lunch and catch the ferry back into the city. 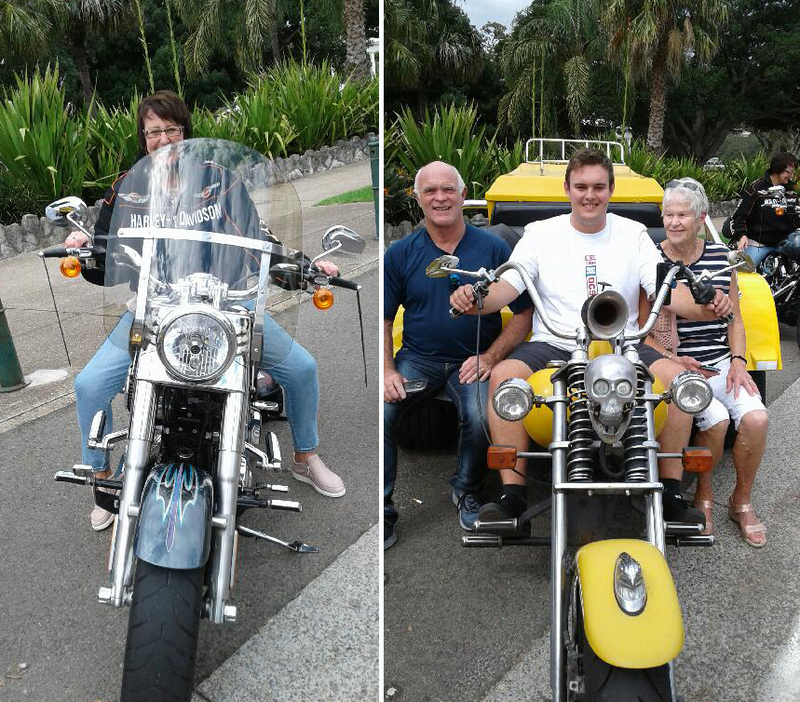 A Trike Harley Family Tour was an unforgettable experience, the grandpa said “It is a day he will never forget”. They ALL loved it! The Spit Bridge, completed in 1958, is of state significance. It is a substantial landscape feature that has played a crucial role in allowing the development of the northern beaches suburbs to occur over the last 44 years. The Bridge is also extremely rare as it is the only lift bridge still operational on a major arterial road. It was completed in 1958 and is of state significance. It is a substantial landscape feature that has played a crucial role in allowing the development of the northern beaches suburbs to occur over the last 44 years. The Bridge is also extremely rare as it is the only lift bridge still operational on a major arterial road. The Spit Bridge is a steel and concrete girder bridge with a bascule liftspan across the Middle Harbour, is located 10 kilometres (6.2 mi) northeast of the CBD. There’s nothing like a Harley or trike ride with Troll Tours! We are fully accredited with the NSW Government: Accreditation No. 37123.